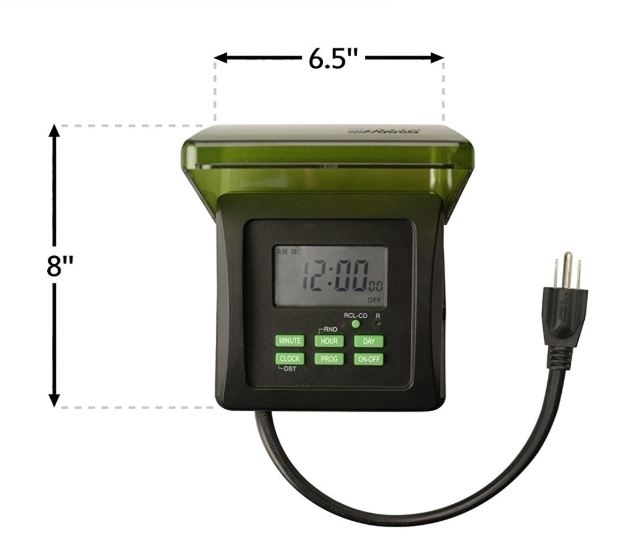 The 15 Amp 7-Day Digital Outdoor Heavy Duty 2-Outlet Timer features include to-the-minute digital settings, a countdown function, and a random setting. 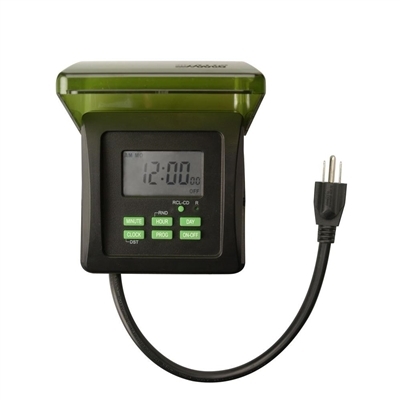 This timer is specially designed to work with patio or garden fountains, pumps, bug zappers, car heating accessories, outdoor lighting and other heavy duty outdoor appliances. 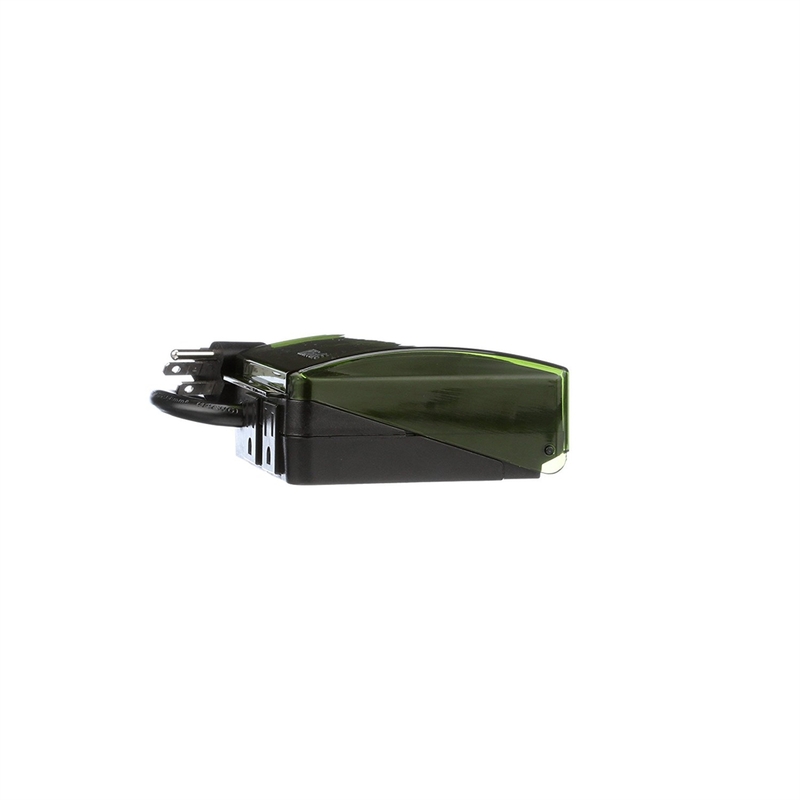 The forest green blends into landscapes and gardens; place this discreet timer on your patio or next to bushes. A semi-transparent lid protects the pin dial from damage and weather resistant housing is designed for extreme weather conditions. 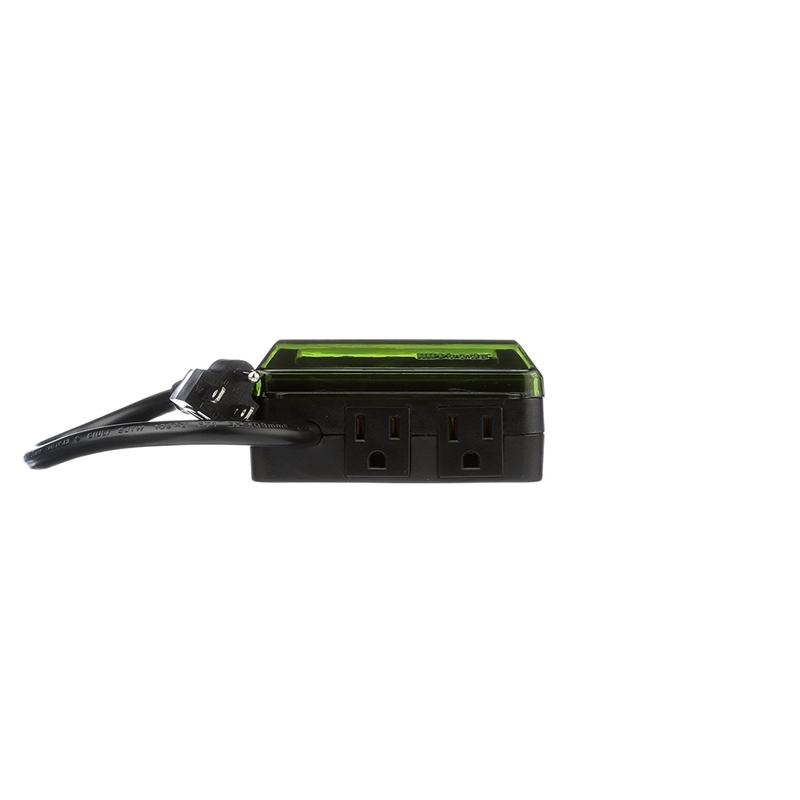 The Outdoor Digital 2-Outlet Timer has the option to program each day different and weekends different than weekdays. The LCD display is large so it's easy to read and the 6-button programming is easy follow with an instruction sheet. Use the manual override button to turn the timer off and outlet on. During power outages this timer retains its settings with a self-charging battery backup. This timer is compatible with compact fluorescent lighting, LED bulbs and CSA certified for quality assurance.